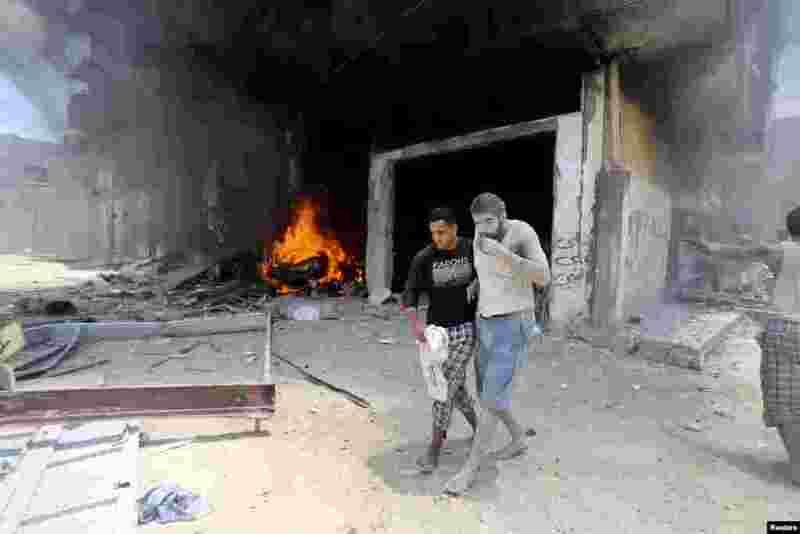 1 A Palestinian evacuates a wounded man following what police said was an Israeli air strike on a house in Rafah in the southern Gaza Strip. At least 50 Palestinians were killed by Israeli shelling in a Gaza neighborhood, where bodies were strewn in the street and thousands fled for shelter to a hospital packed with wounded, witnesses and health officials said. 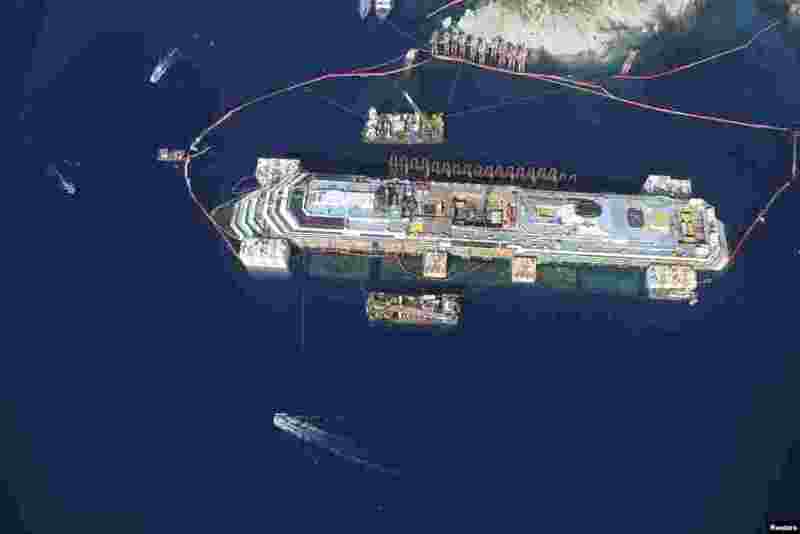 2 An aerial view of the Costa Concordia cruise liner is seen during the refloat operation at Giglio harbor on Giglio Island in this handout photograph released by Italian Civil Protection. 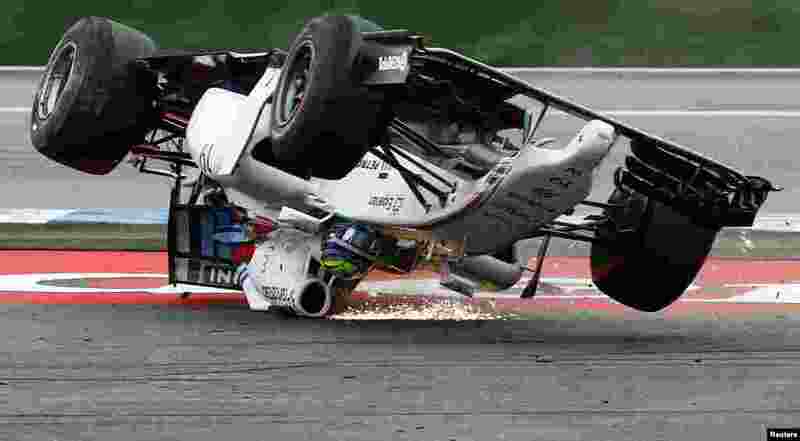 3 Williams Formula One driver Felipe Massa of Brazil crashes with his car in the first corner after the start of the German F1 Grand Prix at the Hockenheim racing circui. 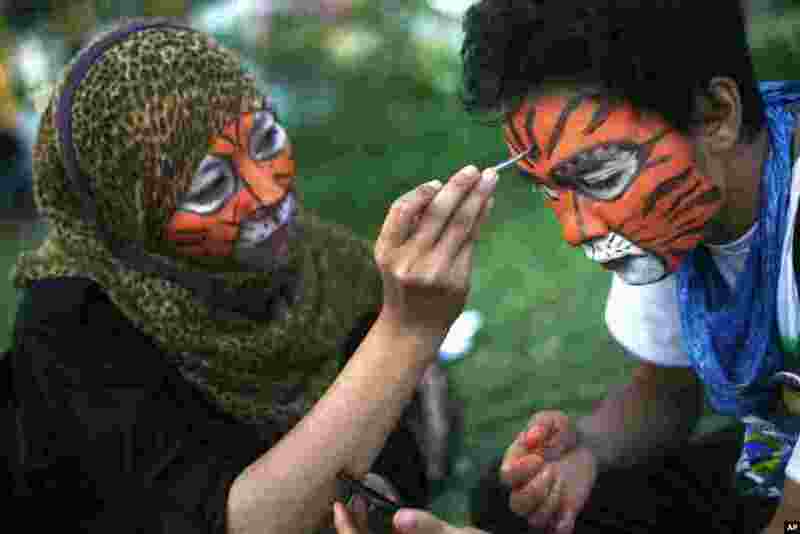 4 Students paint their faces during a rally calling for Sumatran tiger conservation ahead of the Global Tiger Day in Medan, North Sumatra, Indonesia. The Sumatran tiger is the world's most critically endangered tiger subspecies with only fewer than 400 remain in the wild and may become extinct in the next decade due to poaching and habitat loss.